The Chargers made a number of roster moves before tonight’s contest against the Chiefs, including placing cornerback Trevor Williams on injured reserve. Additionally, linebacker Tre’Von Johnson has been waived, while running back Troymaine Pope and linebacker Kyle Wilson have been promoted from the practice squad to the active roster. Williams, 25, was hampered by an ankle injury that cost him most of the Chargers’ offseason program and preseason. He made it back in time for Week 1 and served as a starter for much of the year before suffering a knee injury during practice in Week 10. Williams has barely played since, managing only a single defensive snap and a handful of special teams plays in Week 13. Since Williams went down, second-year cornerback Michael Davis has taken over as Los Angeles’ nickelback and played quite well, grading as the NFL’s No. 53 CB among 113 qualifiers, per Pro Football Focus, which had ranked Williams just 79th. 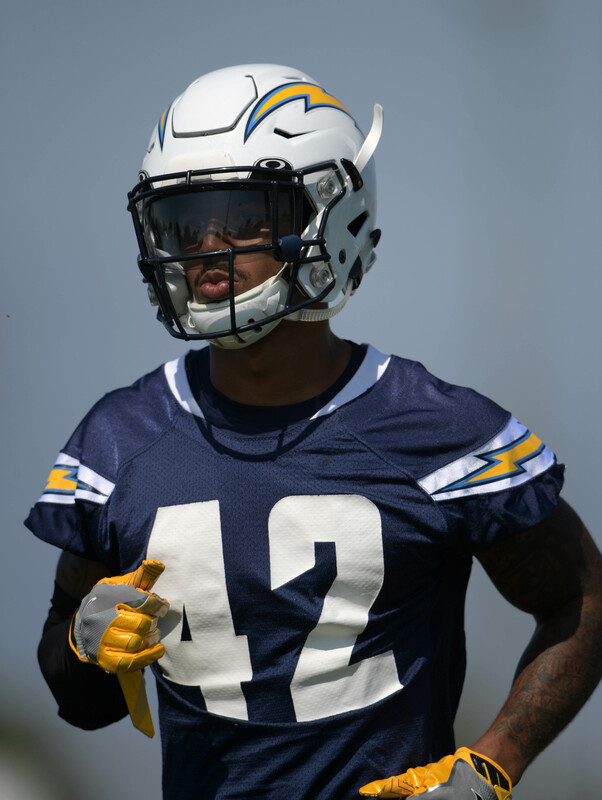 Davis will continue to lineup alongside Casey Hayward and Desmond King in one of the league’s best secondaries, a unit that currently ranks ninth in pass defense DVOA. As for Williams, he’s scheduled to become a restricted free agent in 2019. Pope’s elevation to the Chargers’ active roster is further proof Los Angeles isn’t optimistic fellow running back Melvin Gordon will be able to play on Thursday night. Gordon himself said he’ll be a game-time decision, and if he can’t go, Pope could serve as insurance behind Justin Jackson and Detrez Newsome (usual No. 2 back Austin Ekeler has already been declared out for tonight’s matchup).